In Chiapas, one in every 10 children between the ages of one and four dies from preventable gastrointestinal diseases. Indigenous children from the southern Mexican state of Chiapas staged a demonstration Tuesday to demand government action on chronic child malnutrition and deaths of minors due to easily preventable gastrointestinal illnesses. The demonstration in the city of San Cristobal de las Casas, organized by the Melel Xojobal organization, highlighted that in Chiapas one in every 10 children between the ages of one and four will die from preventable gastrointestinal diseases. According to the organization, Chiapas has one of the highest rates of mortality of children under five, with 23 deaths per 100,000 children. The figures are drawn from the Mexican Health Secretariat. “Death from malnutrition and gastrointestinal illness are curable and preventable. However, state policy on this issue has not been effective, and continues to make invisible the children and adolescents who feel the effects,” stated Melel Xojobal. According to the National Council for Evaluation of Social Development Policy, the rates of malnutrition in the majority Indigenous state of Chiapas have remained the same for more than a decade. San Cristobal de las Casas is considered the cradle of the Zapatistas, who publicly launched their revolutionary Indigenous-led social movement to combat neo-liberal capitalism over 20 years ago. 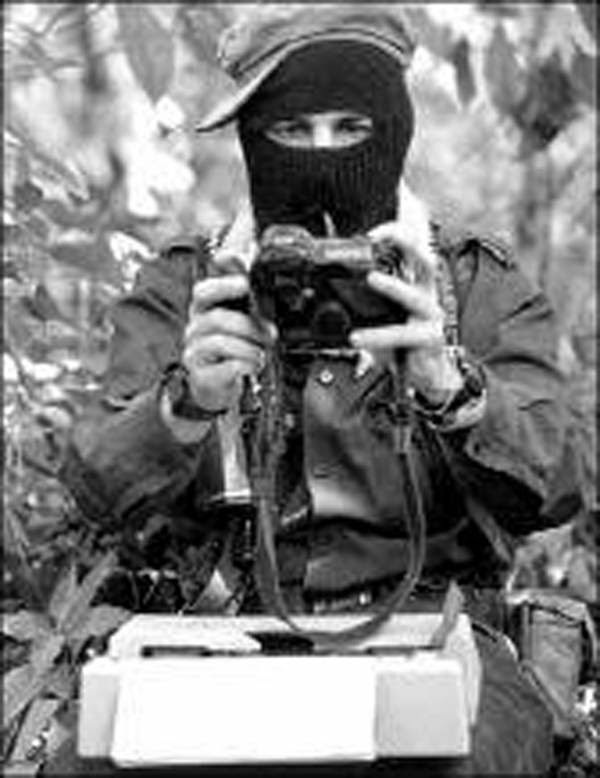 The EZLN and National Indigenous Congress plan to announce their candidate for president at the end of December during their national conference, to take place in San Cristobal de las Casas. The protest comes just three months after the EZLN accused the mayor of San Cristobal of sending paramilitaries to attack a blockade by striking teachers.